3-2-1 Blastoff! Grab your spacesuit as we zoom through the halls of Smith Hall for museum exhibits and a show-and-tell fair featuring interactive exhibits from many UA graduate departments. Free admission! Free food! Prizes! 5:30-8:00 p.m. Hosted with Graduate Parent Support , the Graduate Student Association, and the UA Graduate School. Celebrate Earth Day and join in the fun as we discover and identify the plants and animals that inhabit Moundville Archaeological Park. UA Museums’ staff and scientists will be there to help identify the species we encounter, and to teach you, and your family how to become citizen scientists that can contribute to our ongoing biodiversity projects. All day event. Free and fun for all ages. Join us as we talk about sustainability and importance of recycling in our lives with presenters from the University and Tuscaloosa community. 1:00-4:00 p.m. Free and fun for all ages. Preschoolers and their caregivers are invited to explore the Museum and learn about nature through activities, crafts and stories. 10:00 a.m.– noon. $2 per child and caregiver. Come experience the Museum in a whole new way! Stomp around with dinosaurs, unearth rocks and minerals, and discover a host of other natural wonders. For K-2nd grade explorers. 3:30-5:00 p.m. $8 per session. Registration is required. Have you ever wanted to learn how to identify trees, leaves, flowers, and insects? Then this is the program for you! Join us as we visit local sites and learn about nature. For 3rd-6th grader explorers. 10:00 a.m. -12:00 p.m. $10 per session. Space is limited.Registration is required. To register, call 205-348-7550 or email programs@ua.edu. 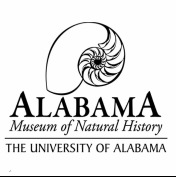 Visit www.almnh.ua.edu for more information.